If you’ve never been asked to be a bridesmaid before, you might think all you have to do is show up on the wedding day, look pretty, and do a little dancing. However, you couldn’t be further from the truth. Being a bridesmaid is a big deal, with quite a few responsibilities. If you’ve never been a bridesmaid, consider these bridesmaid duties your official job description! We’ll break this guide up into a few sections so you’ll have a better understanding of your duties, both before the wedding and the day of. The wedding planning process can be very stressful for the bride and groom. Along the way, there might be small tasks that the bride asks you to do in order to help her out. She may ask you to help her pick out a color palette for the wedding or help her decide on the flowers. Some of these might be maid of honor duties, but the bride may also ask you for help at some point. We also recommend that you give the bride a call or text just to simply ask, “What can I help you with?” This alone will make her feel like you’ve got her back throughout these next few months. Just as there are pre-wedding tasks to help with, there are also a few pre-wedding events that are important. 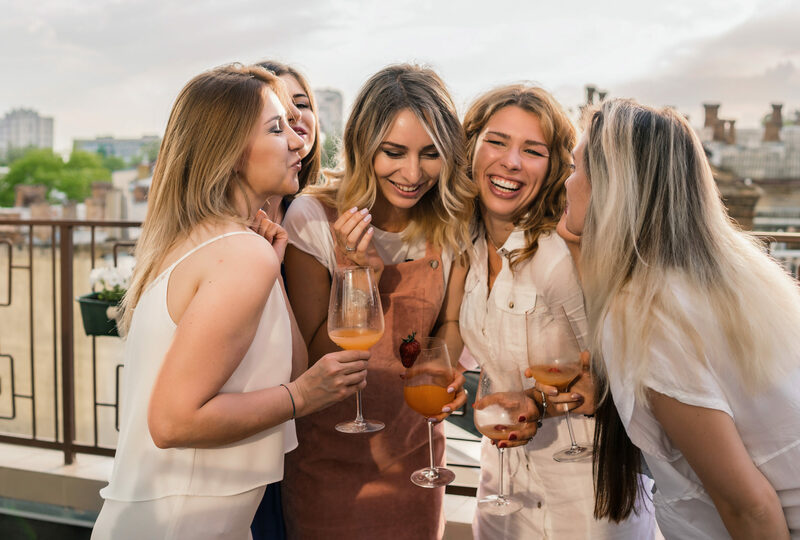 As a bridesmaid, you’ll need to attend events such as the engagement party, the bridal shower, the rehearsal dinner, and of course, the bachelorette party. Make sure you’re up-to-date on what events are scheduled for what dates, and do your best to keep those dates open. Depending on the bride, you may be asked to tag along for wedding dress shopping. Most brides like to invite a small group including the maid of honor, her mother(s), and a few friends or family members. The maid of honor usually takes a leadership role in planning the bachelorette party. One of the big bridesmaid duties is lending a hand to her during the planning process. 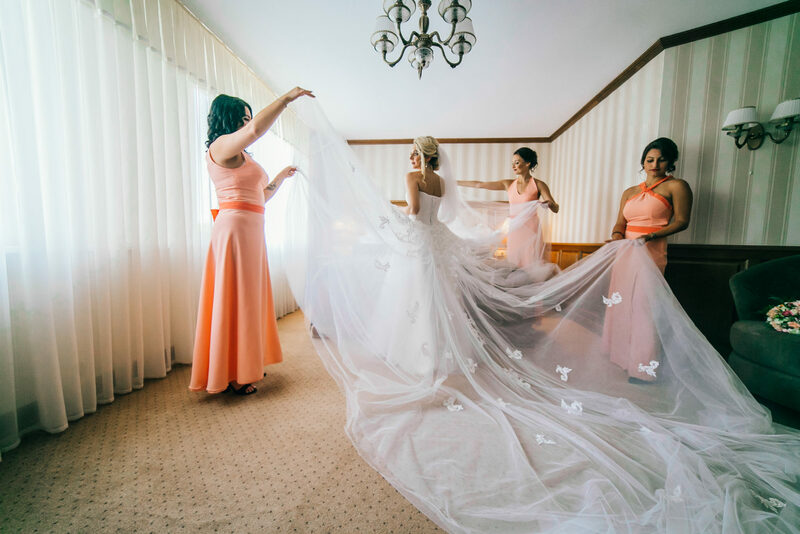 Some brides will be really hands-on, while others will simply give the maid of honor an idea of what she wants to do and then let the bridal party do the rest. Do keep in mind that the maid of honor and bridesmaids typically pick up the tab for the bachelorette party. It can get expensive depending on what you’re doing, so set a budget right off the bat. A good maid of honor will try and balance the bride’s wishes with what the bridesmaids are capable of affording. Be up front with your group with what you can afford so that everyone can better plan. As mentioned earlier, this can be a really stressful time for the bride and groom. Being there for her emotionally can help take some of that stress off her shoulders and allow her to vent a little. Be understanding, helpful, and sympathetic. Also remember to check up on her from time to time. See if she wants to hang out for a quick coffee or wine. Sometimes just getting her out of the house can make her day a lot better. The wedding day is going to be a lot of work, but in the end it’s absolutely worth it when you see the bride and groom having the time of their lives. Make sure that you’re at the right location on time on the morning of the wedding. This may sound silly, but this is one of the most common wedding day mix-ups due to miscommunication. Whether the location is a hotel, the venue, or the bride’s home, it’s important that you show up on time with your dress, shoes, makeup, and anything else you’ve been asked to bring. Being late will put unnecessary stress on the bride, and no one wants that! At some point during the day of the wedding, the entire wedding party—including the bride and groom—will go off to take pictures at a decided location. There isn’t much work involved in this, other than being there and posing how the wedding photographer asks you to pose. Even if you’re tired and your feet hurt, remember to pose pretty! During the wedding day, one of the bridesmaid duties is to simply do the small tasks that the bride or groom asks you to do. It might be as simple as getting her a glass of water and something to eat or helping her fix her makeup. This may sound small, but being available for every little thing that the bride needs can go a long way in making her feel calm and relaxed. During the wedding day, the maid of honor will be trying to make everything go according to schedule and as smoothly as possible. She might ask you for help coordinating certain things throughout the day. It’s important to be agreeable and do as she asks to help keep things in check. Even if you feel like you’re being ordered around or asked too much of, it’s smart to just be a good bridesmaid and do what is needed. The bride might feel a little emotional or overwhelmed on her big day. Helping keep her calm is one of the most important bridesmaid duties there is. If she’s happy, then everyone’s happy. If there are any small issues that come up, tell her you’ll handle it so she can focus on herself and the groom. Once you’ve arrived at the wedding venue, it’s up to you and the rest of the bridesmaids and groomsmen to be the life of the party. That means that you need to be on the dance floor dancing the night away and making sure the guests and everyone are having fun. Some guests might be hesitant to get out onto the dance floor, so it’s your job to try and encourage them to come out and have fun. Sounds like a lot of work, doesn’t it? That’s because it is. It’s an honor to be asked to be a bridesmaid, and you shouldn’t take these duties lightly. Make sure you’re on top of things like scheduled events, planning, picking up your dress, and being helpful. If you’re not sure of the time of a specific event, make sure you reach out to the maid of honor to figure it out. Try not to bombard the bride with small questions that can be answered by someone else. 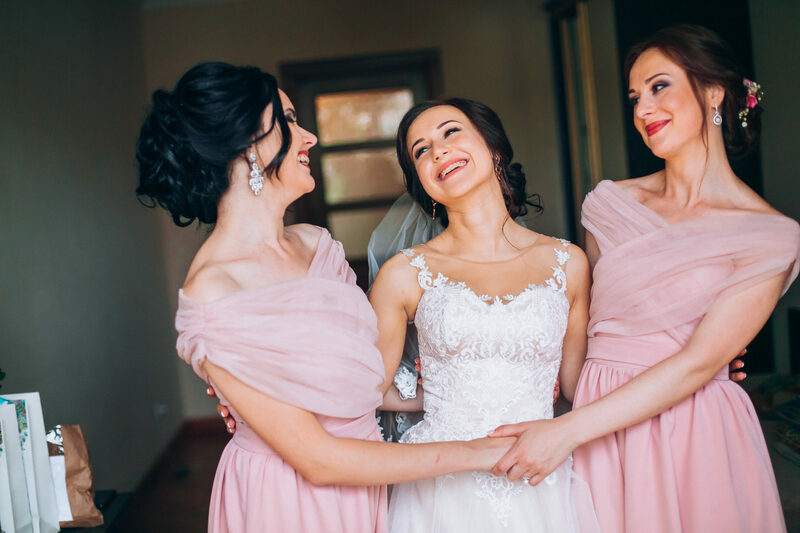 Now that you’ve read through this guide, hopefully you have a better understanding of all the bridesmaid duties that are required of you when you accept. Good luck!